Soon Huat Frozen Food Sdn Bhd established in 2006 which mainly import and distribute seafood products to local market. 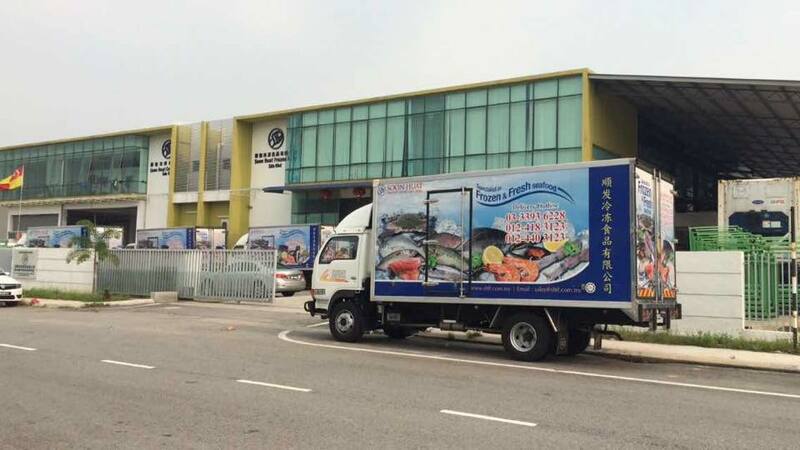 Nowadays, Soon Huat Frozen Food Sdn Bhd is one of the largest in fresh and frozen seafood industry. We are committed to provide quality products such as fresh and frozen salmon, fish, crab, shrimp and other seafood products. Soon Huat Frozen Food Sdn Bhd main office is located in Klang, Selangor, Malaysia. In addition, we do have four outsourcing warehouses in Selayang, Rawang, Shah Alam and Melaka to facilite our customers in ordering and deliveries. Soon Huat Frozen Food Sdn Bhd believes that strict quality controls, competitive prices and efficient service would contribute to success. Should you have any questions or need more information, please do not hesitate to contact us, we would be pleased to answer any enquiries you have. 5 & 7, Jalan Haji Abdul Manan 3/KU8, Kawasan Perindustrian Meru Barat, 42200 Kapar, Klang, Selangor, Malaysia.